Fly Boy Inc. honcho appeared in the news for failing to perform at an event organized by Babcock University after being about around N3 million. Students of the tertiary institution made a protest and mobbed the singer who turned up late after several hours of waiting. The disagreement between Kizz Daniel and the student body made headlines. 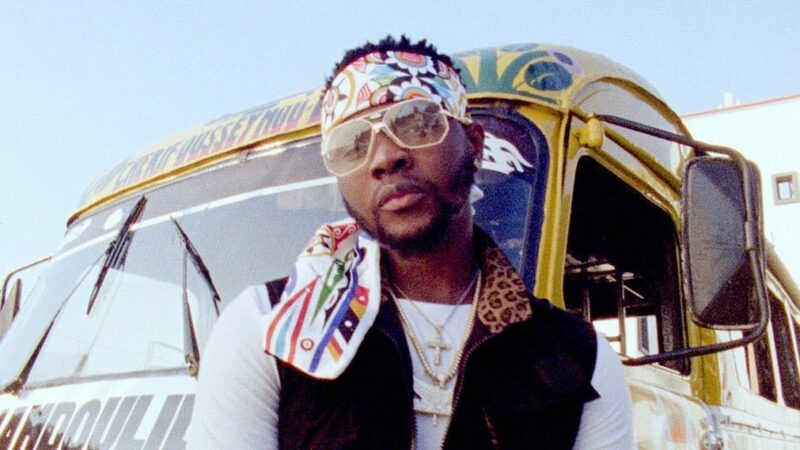 In a way to redeem his image, Kizz Daniel has refunded the money paid him to perform by the SUG. 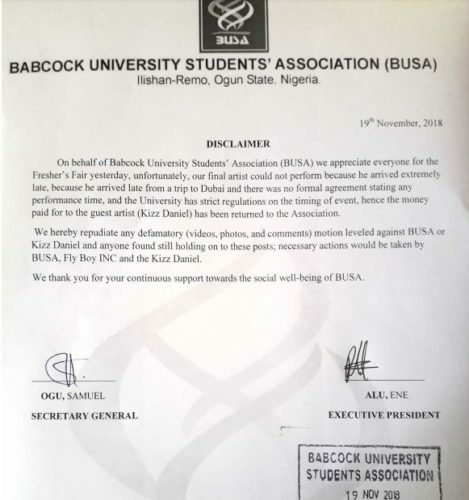 The University students union government in a news letter confirmed the refund while stating that some details of the arrangement wasn’t properly worked out. “We send our sincere apologies to Kizz Daniel and the students of Babcock University for any inconvenience experienced. We hereby repudiate any defamatory content against BUSA, Kizz Daniel and Fly boy INC”.